March is usually a month for madness, and this March has been no different. One would just look at the weather as the cause to the madness this year. But college basketball has had its share of madness as well thus far, and as the Division I men's tournament kicked off yesterday, and the women's tournament will start tomorrow, a Fairfield native has already embarked upon a national basketball tournament. 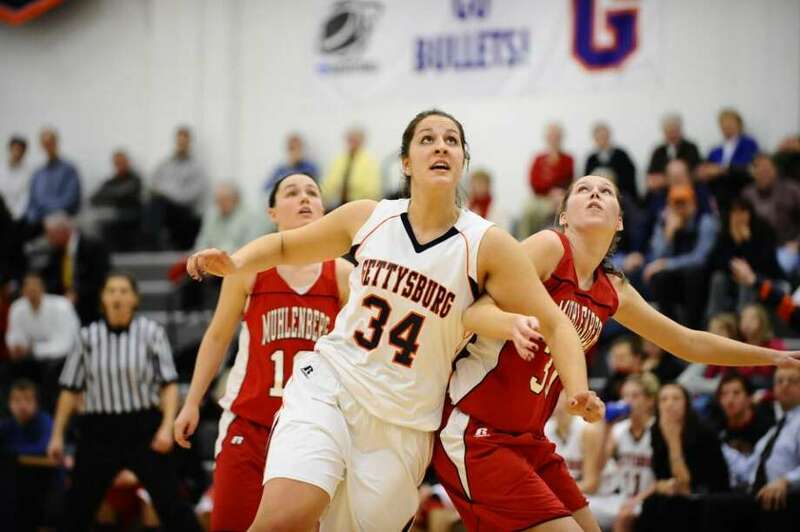 Fairfielder Sara Kinsley was a member of Gettysburg's impressive run to the regional semifinals of the Division III women's basketball tournament. The sophomore was third on the team in scoring and third on the team in rebounding, while leading the Bullets in blocks. "I came into the year more confident," Kinsley said. Kinsley's progression has been a pleasant surprise to her head coach Mike Kirkpatrick. Her attitude has been more impressive to him, as the sophomore has shown a willingness to work and improve that has separated her from the rest. "Her attitude is super," he said. "I think that is why she makes an effort to improve." Kinsley improved upon 4.8 points per game and 5.7 rebounds to average almost eight points per game and eight rebounds and 1.6 blocks per game. "I was more confident and more comfortable with the players that I was playing with," Kinsley said. "I worked hard in the summer ... I did the little things that I had never done before." With Kinsley's improvement, the Bullets beat 25-1 Farmingdale St. in the first round. Gettysburg followed up with a 71-55 win over Utica College before losing in the Sweet 16 in overtime to Babson. "It was like nothing I've ever experienced before," Kinsley said of playing in the tournament. "There are no words to describe it." With Gettysburg setting a school record in wins, the future is bright, and Kinsley is very much a part of the future. Despite the fact that Gettysburg will lose a pair of senior starters, Kinsley is satisfied and excited that the Bullets can return to the heights of 2009-10 in 2010-11. "We saw what we can do," Kinsley said. "We're confident that we'll work hard and be back to the same spot at this time next year."